Revivals Get Messy | Lift Jesus' Cross! ← Tares among Wheat–What do we DO? Revivals get messy. Does that sound odd? Well, I’ve been told this repeatedly by people who’ve experienced revivals–sometimes they get messy. There are many reasons for this. 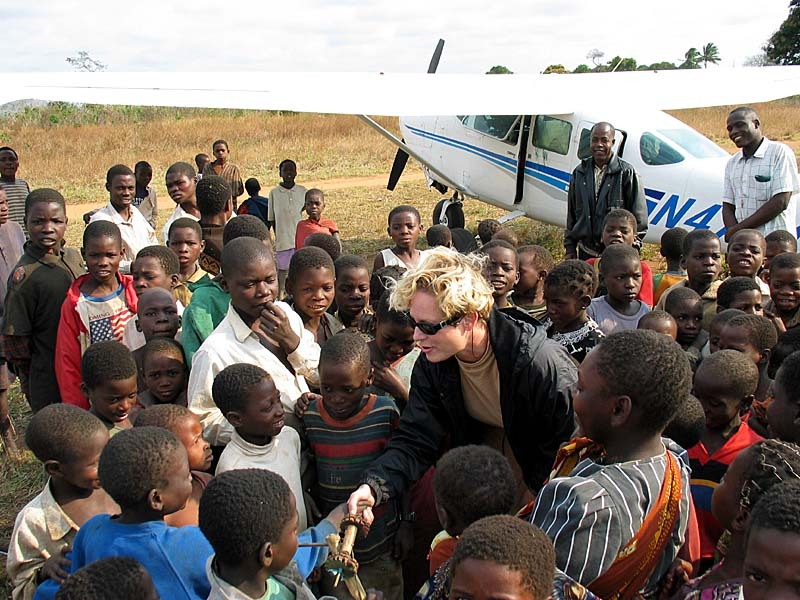 I was honored to take part in evangelism in Mozambique and Malawi Africa in 2001. What a blessing to see 10,000 people come to Jesus in ONE WEEK!! YAHOOOO!! A little girl who was blind from birth was healed at the first meeting in the bush. She and her family and friends ran back to their village and you could see the dust flying up in the air as the little group ran to spread the good news. (This is very much like the Samaritan woman at the well). Anyway, it was obvious to the Africans there that the Christian God was indeed powerful. 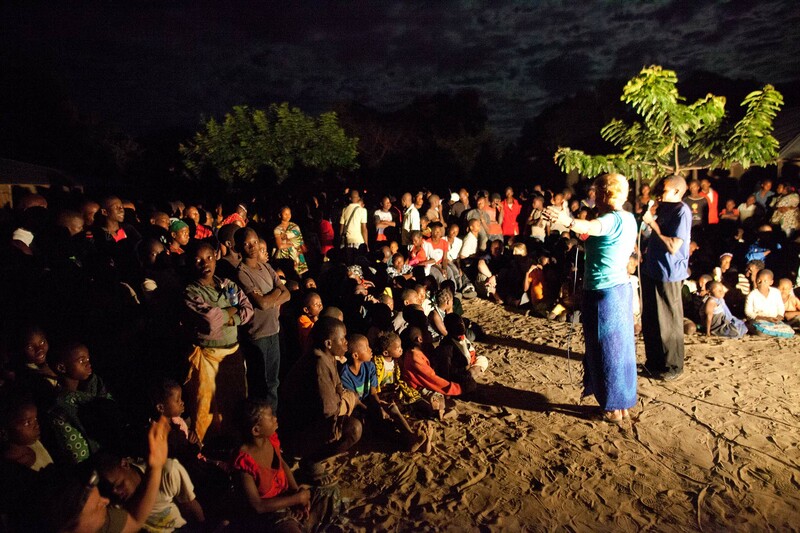 People came at night to see the Jesus Film, which was set up on a large white bed sheet or screen on a stage. Now, there weren’t padded pews to sit on. People stood there, a few sat there, all scrunched together. 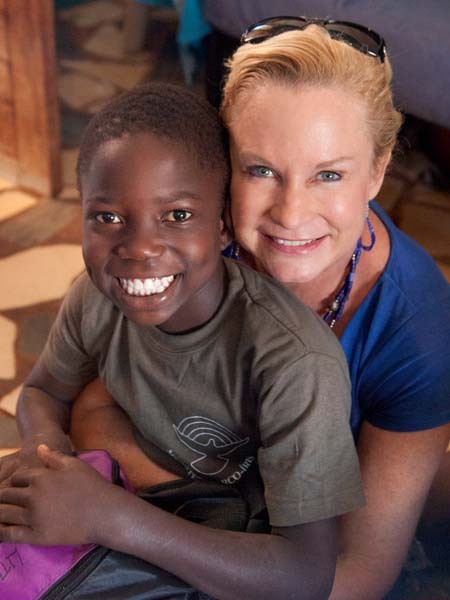 Heidi Baker said she was concerned the little children would get trampled if just one group of people decided to get up and leave. Whew! No pressure. Unbelievably, they put the Jesus Film up before thousands of people one night and, after several false starts with the generator and film strip, the movie finally came on and . . . it was in another language! Everyone groaned. It took a ton of work to purchase the film and the supplies, transport our team by van to the location, fly the Cessna Airplane to location, set up the generator, fly the Cessna Airplane onto a mine field that still had active explosives there from the previous war, and organize places for thousands of people to sleep and eat. The outside of the film case said it was in the native language. However, the film was unintelligible. What do we do? They played the film and the Bakers explained it the best they knew how. Some people were born again. Some were not. Some were healed. Some were not. Day after day, night after night, we all toiled. More often than not, things didn’t go as planned. What wisdom! What freedom! So while everyone was checking their luggage and bags, I pulled out those flash cards and stood by the wall near the plane and children gathered. I pointed at the pictures and a translator helped me to tell the story of Creation. Cool beans! Fun! And indeed, as we stopped for the one in front of us, a few hundred were personally touched and ministered to. But at the end of the week, IRIS Ministries counted more than 10,000 were born again. We couldn’t possibly talk to so many personally, but precious Holy Spirit had us covered! He could speak to MANY hearts at one time. No worries! And it got messier. One of the Mozambican pastors who was trained and mature in Christ, knew several languages, was suddenly bitten one morning by a deadly poisonous spider right in his crotch. That’s right, his crotch. He writhed on the ground in pain and the Mozambicans knew that this godly pastor would either become extremely sick for weeks or die. Villagers and missionaries and pastors gathered around in a circle to pray for him as he squirmed, screaming in the dust. Come to find out, a local witchdoctor had put a curse on this pastor. Let’s just say there wasn’t a hospital within miles and God used the saints to free this man from the curse and the effects of the spider bite. But things got messy before they got better. This is not just true in Africa. Revivals have not been pretty little packages that we present to the king. They can get messy. Why? Because people can get messy. Let’s admit it, most of us are a MESS! That’s why we need Jesus. Are we willing to put up with the messes that are made during a revival? Are we ready to get into the trenches and love the people who come forward in genuine repentance as well as those who come forward because they want attention? Are we ready to get real about leading people to Jesus? Can we trust Jesus to take care of his fields? Or are we nervous that it may look messy and our Christian friends may criticize us? Do we fear God or fear people? My goodness! I must be honest. When I left the Bonnke crusade in Orlando last week, the question at the foremost in my mind was this: Am I ready for this? This entry was posted in Harvest Evangelism and tagged born again, Heidi Baker, IRIS, Jesus Film, Mozambique, revival, saved. Bookmark the permalink. Hope, this is fantastic—and just what I needed to hear this morning while I’m being stretched, even to minister to the children & grandchildren in my own family, much less those in Swaziland. Thank you for an apt word in due season! Of course Becky. Share wherever you’d like. Remember Christ Himself didn’t always heal everyone but would leave for another place when He desired. I would also add that Satan was hard at work because he feared the results of your work. And it appears he was right because you were still successful despite his attacks. You could see it got messy when Christ was at work. The reason He fed the 5000 was because it got messy when the people came searching for Him. Today we’ll stop for the one in front of us. I’m so glad that helped you, too, Ginny! It can feel overwhelming if you look at the hundreds or thousands. But giving my full love and attention to the person in front of me–I can do that! I heard the following a while back. I’m paraphasing since I don’t remember the original wording. A man was walking down a beach where thousands of starfish were stranded on the shore. He saw a boy walking toward him, picking up starfish, and tossing them into the water. The boy picked up another starfish. “I may not be able to save them all, but it makes a difference to this one,” he said as he threw it into the water. We can’t reach them all, but we can reach some. When I was working at a summer camp many years ago, one of the leaders told me that there would be kids that I could reach that no one else could and some that I could’t but someone else would. Beautiful reminder, David. I love that story.